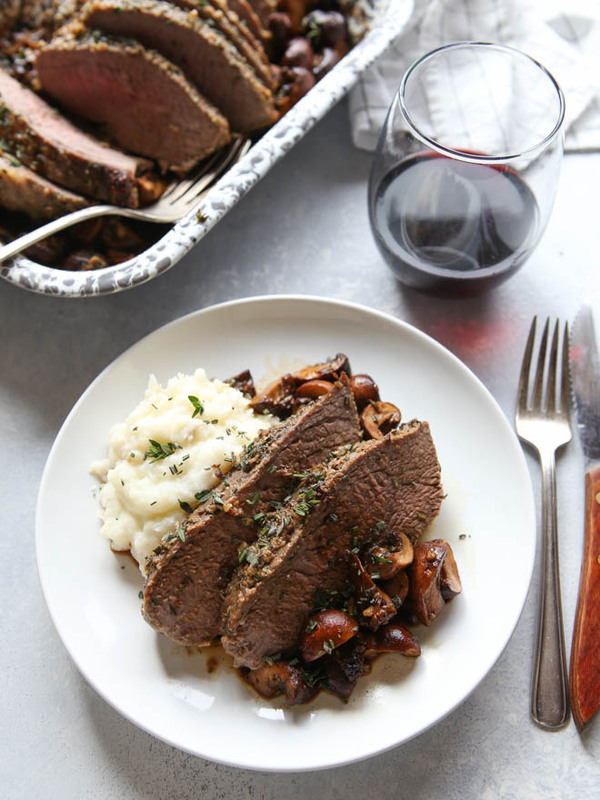 This garlic and herb marinated tri-tip roast and mushrooms is easy enough for a weeknight but fancy enough for any special occasion. As I’ve mentioned here before, we keep Valentine’s Day pretty low key. No flowers or gifts, no restaurant reservations. 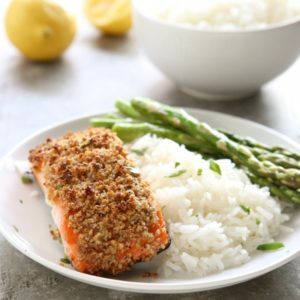 In years past my husband and I have simply enjoyed a nice quite meal together at home, but now that our children are getting a little older we’re letting them in on the fun too. Last year I made something a little extra special for dinner, lit a few candles, and poured champagne for the adults and sparkling cider for the kids. They loved it and my hubby and I had a great time too. I think it’s going to be a permanent tradition! 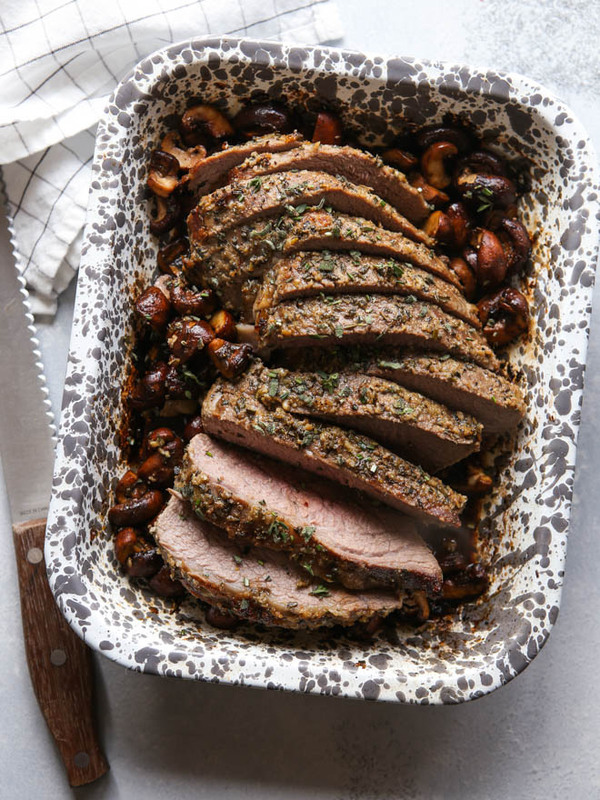 This garlic herb tri-tip roast and mushrooms is exactly the kind of the meal I serve when I’m looking for something “special”. 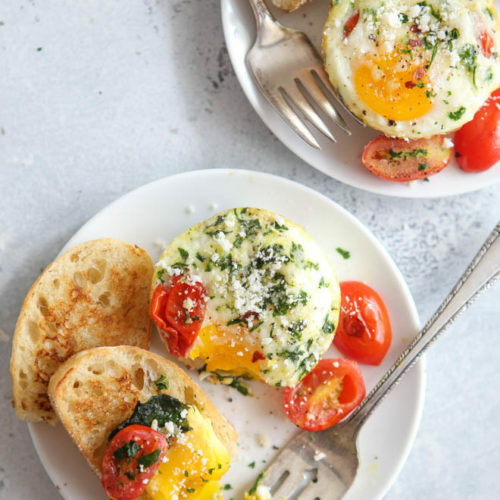 It feels a little fancier— while still being easy and doable— and always goes over with rave reviews. Tri-tip is a pretty cheap cut of meat so it’s a great alternative to steak, plus it’s more hands-off (which is great for a multi-tasking parent like myself). 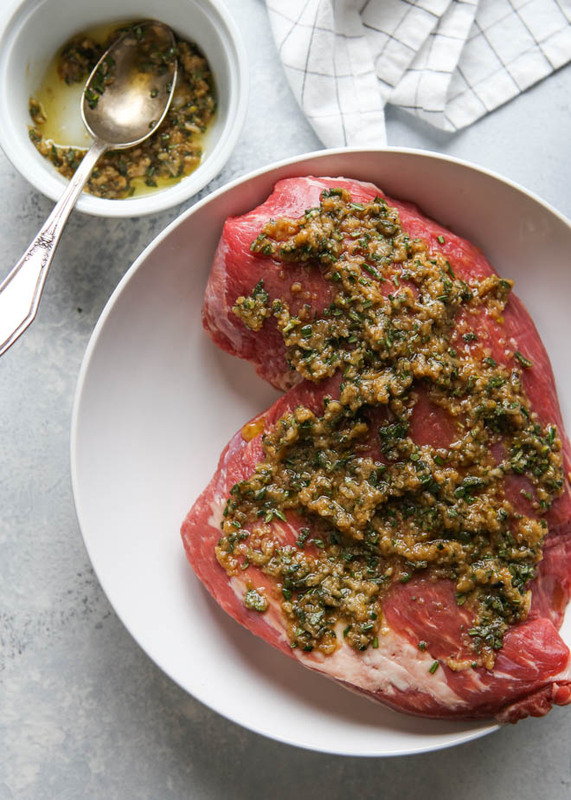 The marinade is made with plenty of garlic and fresh herbs like rosemary, thyme, and sage. Let the roast and marinade sit for several hours or overnight, then roast it in the oven to your desired doneness. The mushrooms are the final touch, roasted in the tri-tip drippings until tender and full of flavor. 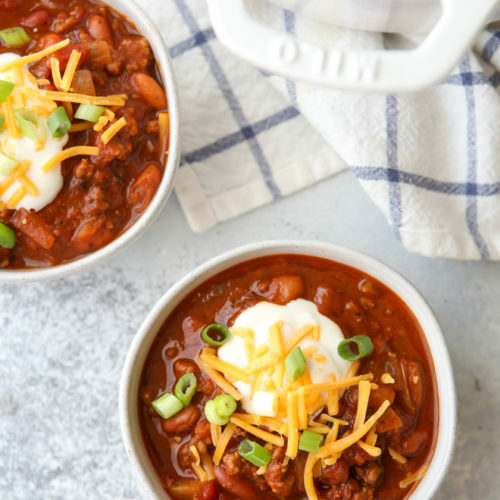 Whether you’re planning a meal for a special occasion or looking for a slightly upgraded weeknight dinner, this right here will fit the bill. Serve the tri-tip and mushrooms as you like! We enjoyed ours with mashed potatoes, a green salad, and a few glasses of red wine. 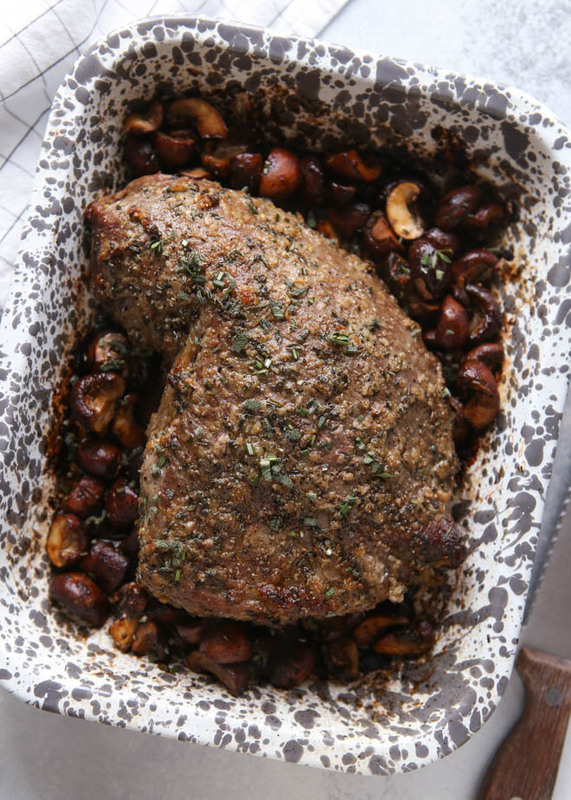 A tri-tip roast of beef with garlic, herbs, and mushrooms. 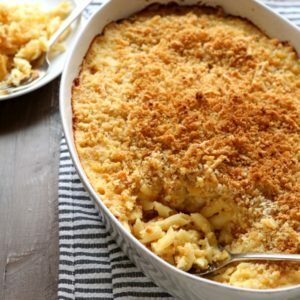 Serve with buttered noodles or mashed potatoes. To make the marinade, combine the olive oil, Worchestershire sauce, Dijon mustard, garlic, and herbs. Put tri-tip roast in a large zip-topped bag and add marinade. Close bag and use your fingers to work the marinade over the roast. Chill in the fridge for at least 6 hours and up to 24 hours. 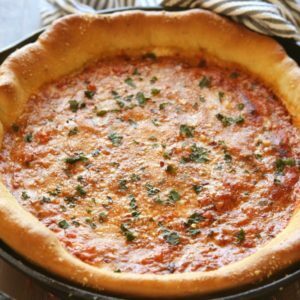 Preheat oven to 425 degrees and grease a medium roasting dish or rimmed pan with nonstick spray. Add roast to prepared pan and sprinkle generously with salt and pepper. Roast tri-tip for about 30-40 minutes, or until a thermometer reads 135-140 degrees for medium-rare. Remove roast from pan, set aside and cover with foil. Reduce oven to 375 degrees. Add butter to roasting pan and let melt. Add mushrooms and toss to coat with butter. Sprinkle with salt and pepper. 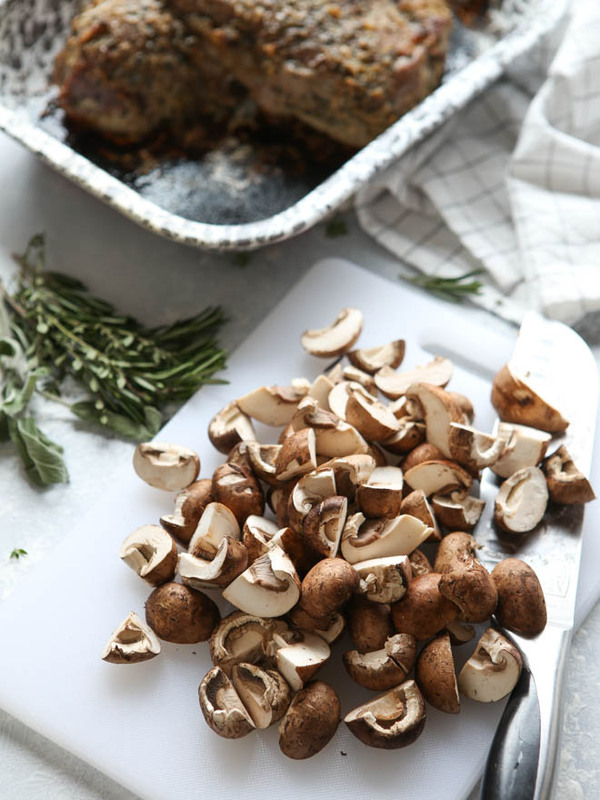 Roast mushrooms for 10-15 minutes, until browned and fragrant. 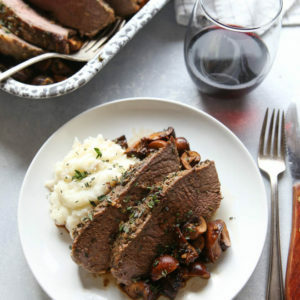 Slice tri-tip roast and serve with mushrooms. Note: Using a thermometer to test for doneness will yield the best results. 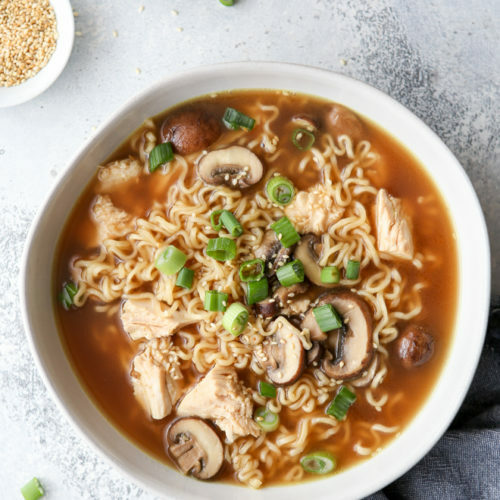 Inspired by Our Best Bites. Hi Annalise: Your Tri Tip roast recipe looks fantastic. I am not familiar with the term Tri Tip. Is this a sirloin roast? Many Thanks. I love your pan! I just ordered some enamelware a few weeks ago and can’t wait to get it in the mail. It’s from Rove and Swig… it looks just like what you got! And we are the same with Valentine’s day and it’s so much fun. We normally do a shrimp and pasta dinner (because my kids are nuts for shrimp) but we always like a million tea candles on the table, have sparkling drinks, and it’s just a lot of fun. Nothing fussy but I know they look forward to it! This meal looks wonderful. I’m with Melodie though. Any tips on buying tri-tip? Does Costco have it? Enjoy your road trip! Yes! So fun to hear you guys have the same tradition! My pan is from Crow Canyon Home and I LOVE everything they do. Enamelware is where it’s at! I found a tri-tip roast from my local Kroger and I think they carry it regularly. I think it also goes by the name “Santa Maria” (it’s a popular cut in CA). Hi! I just found this and was wondering: I assume this could be done with a tri tip destined for the charcoal grill?